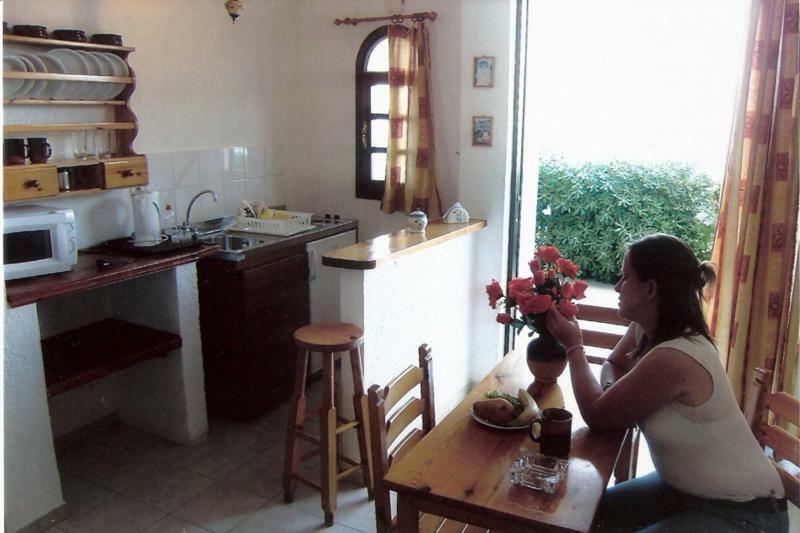 The location was perfect,everything was within walking distance.The apartment was overlooking the sea and was in a very quiet area. Value for money and had most of life's necessities. Probably smaller than we expected but the wonderful position and glorious view made up for this. George was very helpful and welcoming. The apartment was cleaned every 2 days. Fantastic location, ticked all the boxes. The apartment had everything you needed. George and his staff were very friendly. The room was lovely and comfortable and the view was spectacular! We liked it all, the cleanliness and comfort of the apartment, the sea view, lovely entrance from the main road and the welcome bowl of fruit and cold drinks on arrival added to a great holiday! The host was very kind. He prepares a simple but delicious dinner all with local products, chosen with care. 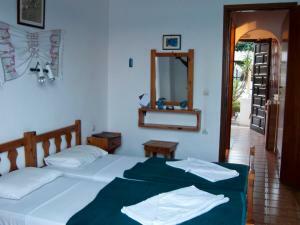 Although the rooms are close to the highway, they are very quiet thanks to the heavy double glass windows/doors. Lock in a great price for Dolphins – rated 9.1 by recent guests! 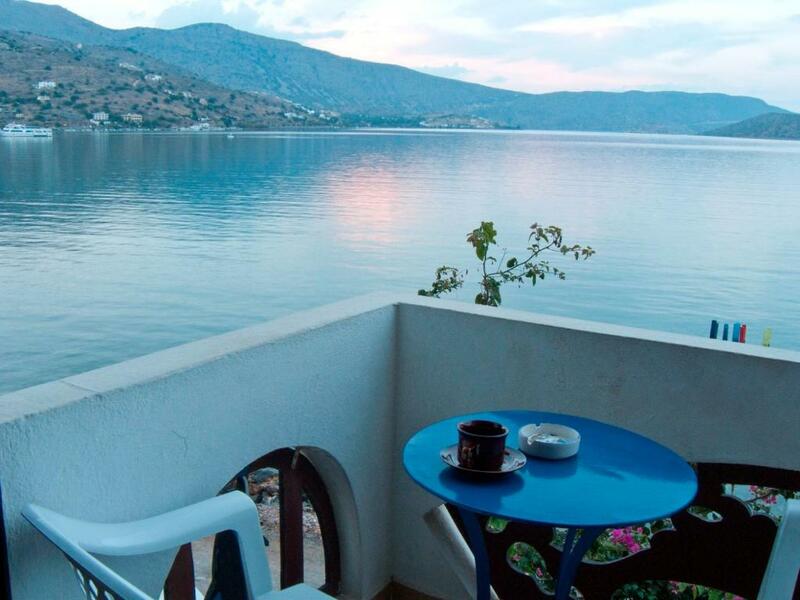 Located in Elounda of Lasithi, the seafront Dolphins offers self-catering accommodations with a furnished balcony overlooking the Cretan Sea and Spinalonga Island. 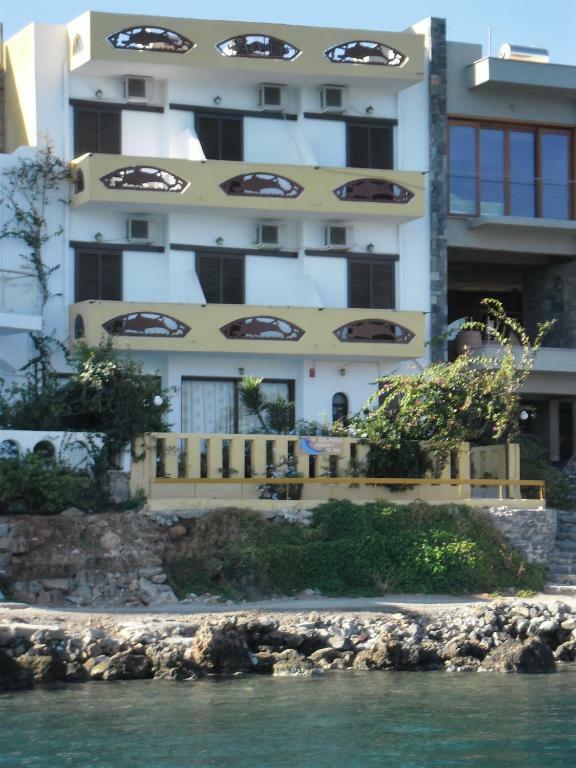 It lies within 150 feet from the beach and 650 feet from restaurants, bars and shops. The air-conditioned apartments feature a separate bedroom and a well-equipped kitchenette with dining area. Facilities include a fridge, a microwave and a safe. The private bathroom comes with a shower. A welcome basket is offered to guests on arrival. Heraklion Town and Port are located 43 mi from Dolphins, while Nikos Kazantzakis International Airport is 42 mi away. 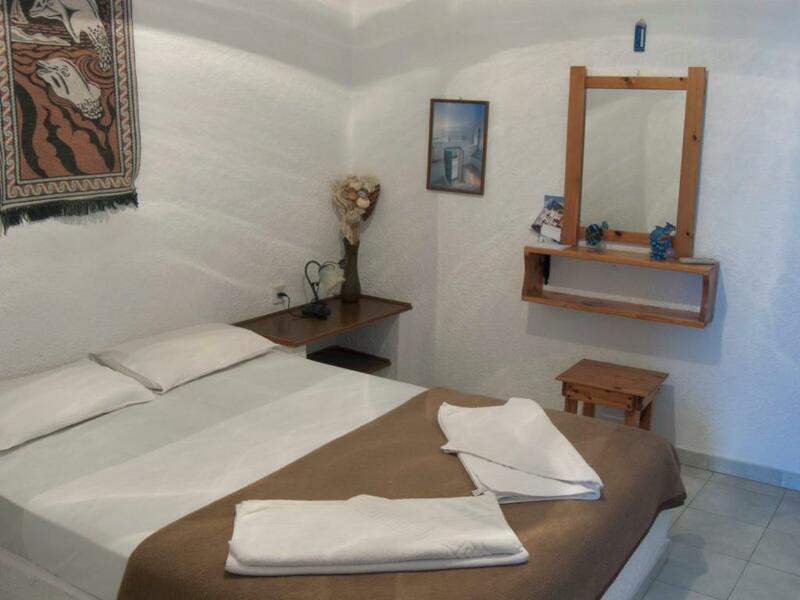 The seaside Agios Nikolaos Town is 6.2 mi away and Plaka Village is at a distance of 2.5 mi. Free public parking is possible nearby. 뀐 Located in the top-rated area in Elounda, this property has an excellent location score of 9.8! When would you like to stay at Dolphins? 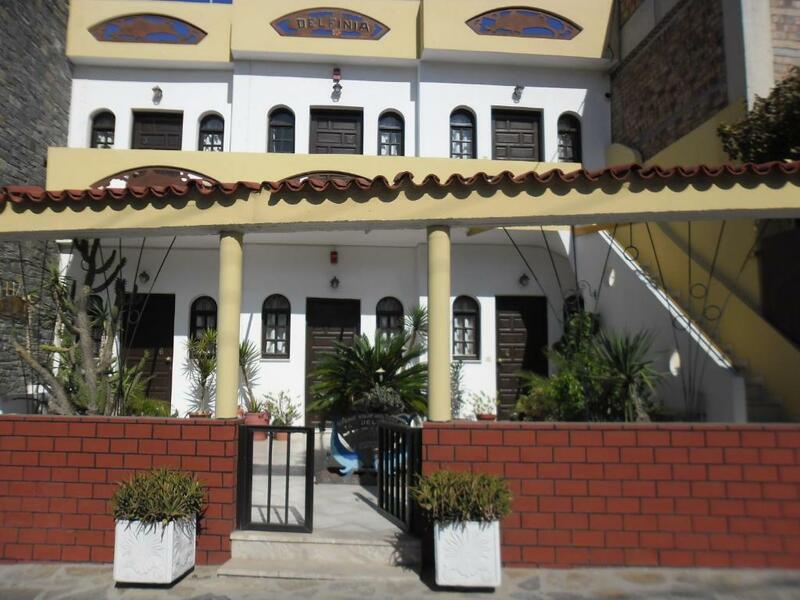 Air-conditioned apartment with a furnished balcony overlooking the Cretan Sea and Spinalonga Island. 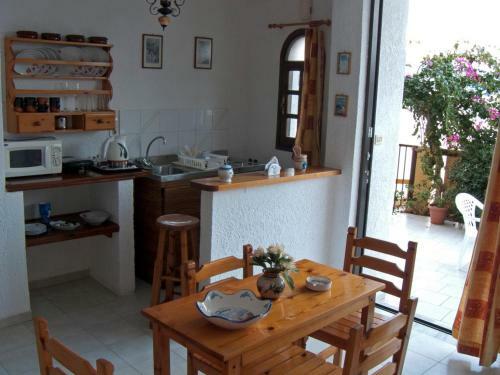 It features a separate bedroom and a well-equipped kitchenette with dining area, fridge and microwave. A welcome basket is offered to guests on arrival. House Rules Dolphins takes special requests – add in the next step! 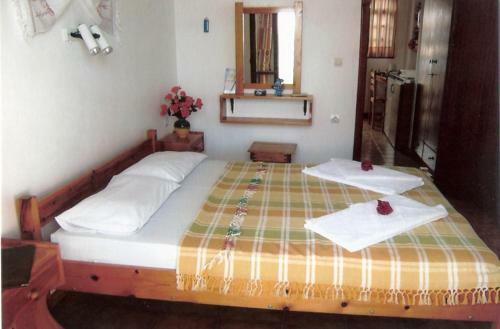 One child from 0 to 2 years is charged EUR 5 per person per night in a crib. Dolphins accepts these cards and reserves the right to temporarily hold an amount prior to arrival. Brilliant location with probably the best view we have ever had when on holiday. 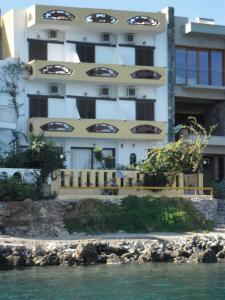 Pleasant 10 min stroll to the beach and even closer to a wide variety of restaurants bars and shops. Would highly recommend!! For me the bed was a little hard but some people prefer a hard bed. I’m used to memory foam. But it wouldn’t stop me highly recommending Dolphins.